THE SET AND FORGET INVESTMENT! Looking for better returns than the bank and bond? Don’t feel like gambling your savings away on the unpredictable stock market? Do you just want to put your money to work for itself and reap the rewards? NO HASSLE, NO CARES, JUST CONSISTENT RETURNS! THE VALUE INN has an opportunity for you to buy in and reap the consistent rewards with a lease in place until 31/12/2021 renewable thereafter and annual rent reviews. 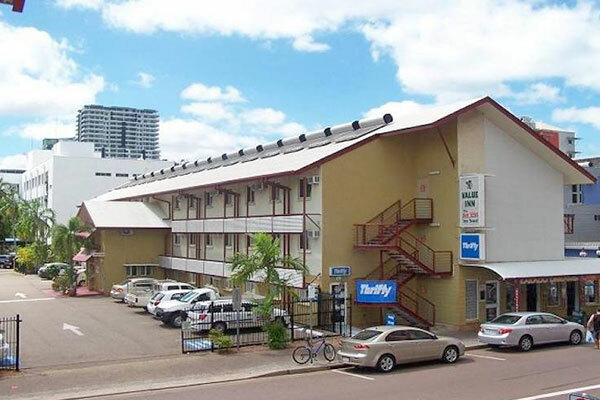 The property is situated in the heart of the tourist belt in Darwin’s CBD. The property shares the pool and amenities with Melaleuca apartments lowering up keep costs while providing superior budget accommodation. The fully serviced 12m2 apartment offers a bed sit arrangement, sleeping 3 and has a bathroom and parking space. The out goings are approximately $1,400 p/a for body corporate and $860 p/a for council rates. The income for this year is $5,000 reviewed annually. Do the maths and see your returns currently at 5.6% p/a gross annually with room for growth up to 10% over time. Performing better than banks and shares. Call Julio Leschi NOW for more details.